You & I have lots of responsibilities & things we have to do. Every day we have the “must do” stuff & even the daily mundane. Sometimes my days don’t seem very divine & yet when I’m attentive, I can see & sense God’s presence. When I ask God to help me in my daily living, I begin to be more aware of God & I see God doing stuff & catch glimmers of God’s influence. 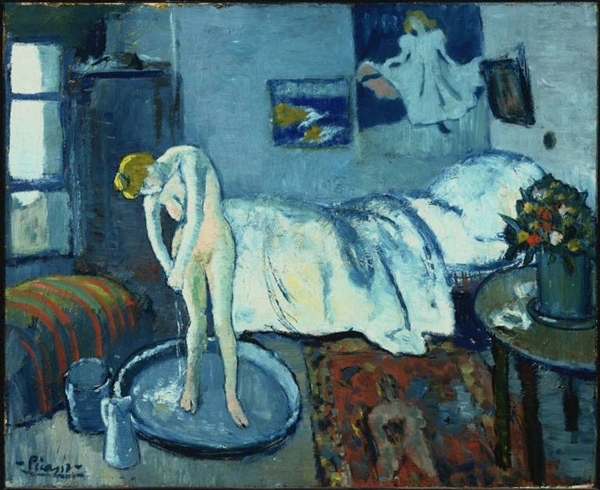 There’s been some interesting news lately about Pablo Picasso & one of his famous paintings, Blue Room. In this painting, Picasso painted a woman, but art experts have found another painting behind the surface painting. The image behind the woman is a portrait of a bearded man & experts are trying to figure out who the man was, along with many other mysterious & important details. It appears that Picasso used his canvass for more than one painting (not an uncommon practice with artists). 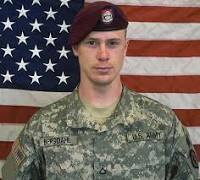 Over the weekend, Sgt Bowe Bergdahl was released to US armed forces after being held in Afghanistan for almost 5 years. I’ve kind of followed this story from a distance & it’s becoming somewhat controversial. There have been concerns raised on many levels including the 5 Taliban leaders who were released from Guantanemo Bay in exchange for Sgt Bergdahl. There are also questions related to how Sgt Bergdahl became a hostage in Afghanistan. Oh the glories of waking up at midnight with complete alertness! I’m currently in Ethiopia & it seems like this is a great opportunity for me to catch up with blogging, since my schedule presently is “unbooked” ,) My internal clock says it’s around 4pm but the external clock here says its about 1am, or something like that. With that being said, this trip to Ethiopia has really big personal significance for me. It was here in Ethiopia about 5 years ago that God began to stir in my heart Saving Moses, having met twin newborn girls that had been abandoned on a field. It has also been my experience that getting to minister in Ethiopia is an extremely unique privilege for me. There’s something here that is deeply spiritual & personal for me so that whenever I get to visit here, I always seem to come away with greater awareness of God & God’s presence in my life. So far, this trip has been very engaging & deepening for me with God. I really like basketball & the recent racial disgrace with the NBA Clippers & Mr Sterling has been disturbing. Adding more fuel, there’s been some public comments about Magic Johnson & then Magic replying about these comments. The nature of the banter gives us a place to look into ourselves & consider our own actions & words. *If someone verbally attacks you, do you attack back? Magic Johnson replied that he would pray for Mr Sterling after Mr Sterling made some questionable comments. *Whats the high ground? It seems to me that all high ground almost universally includes forgiveness. There are more things that we don’t see & hear than we realize. If you think about it, our eyes & ears are designed to absorb a select range of frequencies. With that being said, we have to understand that there are sights & sounds happening around us of which we are unaware. So let’s be careful that we don’t put all of our faith only in what we see & hear. 1Cor 2:9 says that there are things that our eyes haven’t seen & our ears haven’t heard, nor has entered into our hearts all the things that God has prepared for those who love Him.